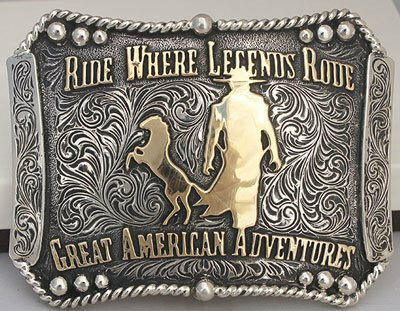 Custom-Made Great American Adventures (GAA) Belt Buckle: Size 3 3/4″ x 3″. 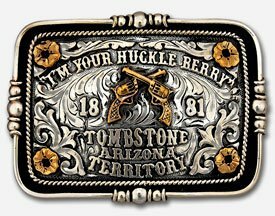 Each custom-designed buckle is custom, hand-made by hand by Clint Mortenson’s excellent team of silversmiths, located in Santa Fe, New Mexico. Expect 4 to 6 week delivery.